All is now set for the presidential candidate of the Peoples Democratic Party, Atiku Abubakar, to visit to the United States following the issuance of a visa to him. Atiku had received the visa to enable him to travel to US. Atiku on Tuesday appeared at the US Embassy in Abuja, where he was interviewed and his fingerprints taken. Sources close to him told The Punch in Abuja on Saturday night that Atiku was delighted with the issuance of the visa. Atiku had stopped visiting the USA after the FBI investigated a bribery scandal that involved a former US congressman, William Jefferson. The former Vice President was accused of demanding a kickback of $500,000 to facilitate the award of contracts to two American telecommunication firms in Nigeria. During the investigation, the FBI had searched Atiku’s residence in Maryland, but it was gathered that no cash was found. Despite Atiku’s claim to innocence, the controversy had continued unabated with his opponents daring him to visit the country and see if he would not be arrested. 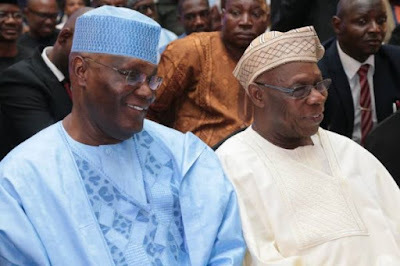 Atiku’s former boss, former President Olusegun Obasanjo was said to have played “significant role” in the issuance of the visa. 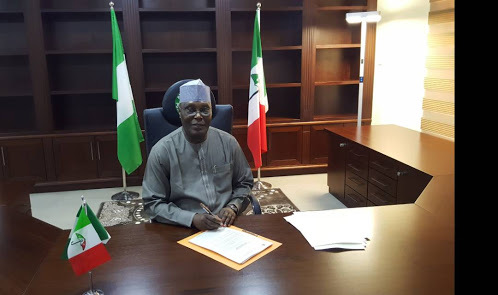 The desire of Atiku to secure the visa had caught the attention of the main opposition party, the All Progressives Congress and the Federal Government last week. The Minister of Information and Culture, Alhaji Lai Mohammed, had called on the US not to grant the visa, saying doing so now could be interpreted as endorsement for Atiku’s presidential ambition. In a swift reaction, the USA had replied, saying Atiku’s desire to secure the visa was private and that politicians should focus on issues. Meanwhile, Obasanjo and the Governor of Sokoto State, Aminu Tambuwal, have agreed to intervene in the crisis rocking the PDP Presidential Campaign Council. It was learnt on Saturday that the two men would engage different stakeholders who felt agreed following the composition of the party’s presidential campaign council. Recall that the PDP National Chairman, Prince Uche Secondus, on Thursday in Abuja, inaugurated the party’s presidential campaign council. The event was attended by different stakeholders in the party, including Atiku. However, The Punch gathered that some members of the party considered critical to its success in the February presidential election had expressed reservations about the running of the campaigns. One of them was the Governor of Rivers, Chief Nyesom Wike, who is the party’s South-South zonal coordinator for the campaign. Wike, who supported Tambuwal during the presidential primary, had claimed that he was being sidelined in the campaign council. He was said to have threatened to resign his position as the zonal coordinator for the presidential campaign. However, it was gathered that the national leadership of the party and Atiku had spoken with the governor to rescind the decision. As a follow up, the party and Atiku were said to have asked Tambuwal to visit Wike and convince him on the need to work together with the party for the general elections. The source said that Obasanjo would also speak with some other aggrieved members of the party, especially from the North. Obasanjo, it was gathered, had agreed to meet with the aggrieved persons in Abuja this week.